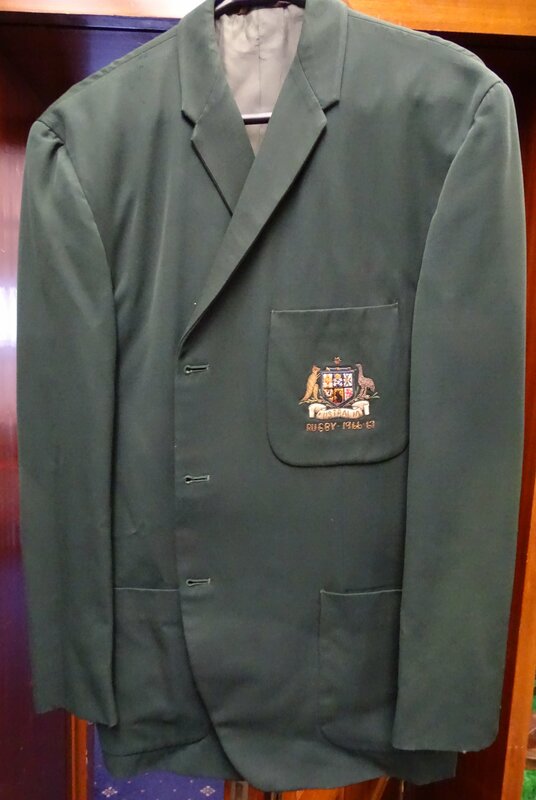 Blazer from Australia's 1966/67 tour of Britain, Ireland, France and Canada. The 1966-7 'World' tour featured five tests and 31 other matches. 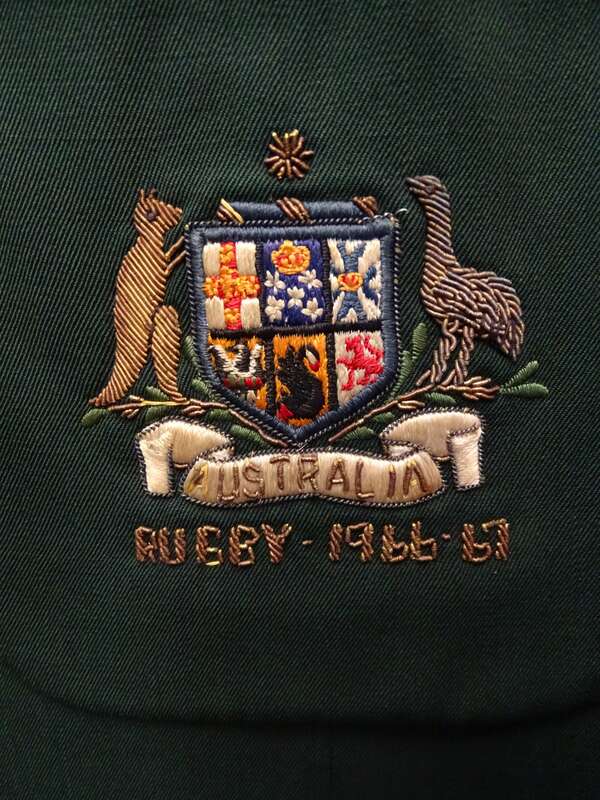 The side won nineteen matches (including that against Wales 14-11), lost fourteen and drew three. A crowd of 35,000 saw WG Hullin and DK Jones score tries for Cardiff. RFH Cheney kicked a conversion and penalty goal and Hullin also dropped a goal. The match was Cardiff's fourth consecutive victory against Australia.